Helloooooo, Kaci! 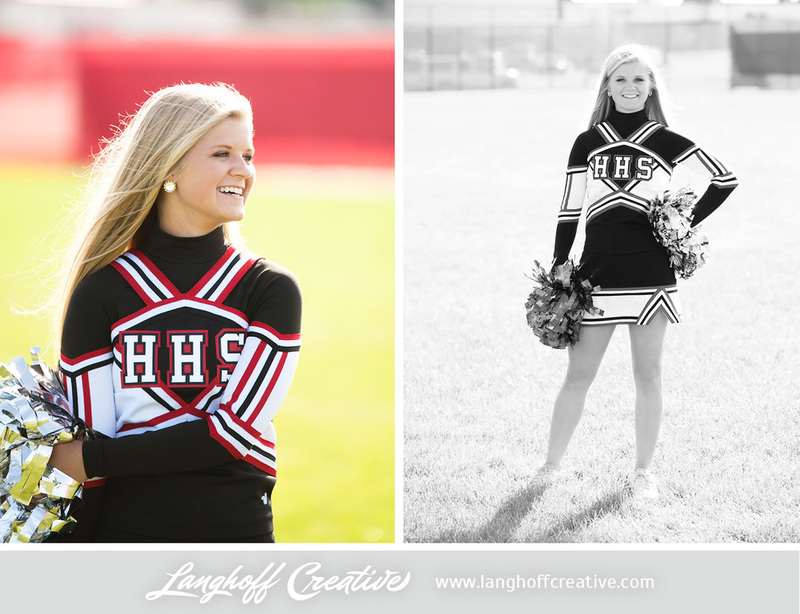 This gorgeous young lady is heading into her senior year at Horlick High School (Racine, WI). She's got pretty much everything going for her: a stunning smile (obviously), athletic talent, smarts, stamps in her passport, a sweet personality, involvement at school, and dedication to her family. We absolutely loved getting to know Kaci during this Senior Session in Racine! Kaci is one of the most humble people I've met. She'd tell you that she doesn't think she's that different from everyone else, but I happen to have come across an article last week that says otherwise. Kaci recently earned All-State recognition by the Wisconsin Soccer Coaches Association—and she was one of only five girls from Racine County recognized! "Soccer has been a passion for me since I was very young," Kaci said. When all is said and done, she will have played four years of soccer in high school and several years of Club Soccer outside of school. She plays outside midfield and forward when she's on the field and has so many memories off the field with teammates who have become very close friends. She's a two sport athlete at her high school, also participating for the last three years on Horlick's State Champion Cheer Team. When they're not competing, you'll find Kaci on the sidelines of football and basketball games being tossed in the air by her team. Other high school memories for Kaci include her roles in Student Government and National Honors Society, but her favorite so far would definitely be her school trip to Australia last year! She told me all about the fun, touristy things they did like scuba diving, seeing the Great Barrier Reef, and so many other experiences. After graduation, she gets to head out on one more big trip with her school to Italy & Greece! How cool is that?! When I asked Kaci what she was looking forward to in her senior year, she replied with excitement, "All of the fun activities like homecoming, powder puff, prom, and it being my last fun year with my friends and sports teams!" She's certainly made the most of her high school career so far! To the underclassmen at Horlick, Kaci leaves the advice, "Try to be nice and be friends with as many people as you possibly can! You'd be pleasantly surprised by the different types of people that you will meet!" "I can't remember who told me this, but someone once told me to live in the present, forget about the past, and don't worry about the future. It'll all work out," Kaci said. For such a motivated person, I had to find out what was driving that. Kaci told me, "I would say that my sisters and best friend inspire me! Through all that they have been through, I know that whatever God throws my way that I will be able to handle it. They have been the three that have taught me this— without them even knowing—and have helped me through one of my toughest times this past year." After graduation, she says she'll miss her friends most since they're heading in all different directions for college. "I am attending Eastern Illinois University on a soccer scholarship and I will most likely be majoring in Special Education." We're so proud of you, Kaci! Congratulations on your scholarship, spot on the EIU soccer team, graduation and so much else! Enjoy your senior year and soak in every memory as it comes.